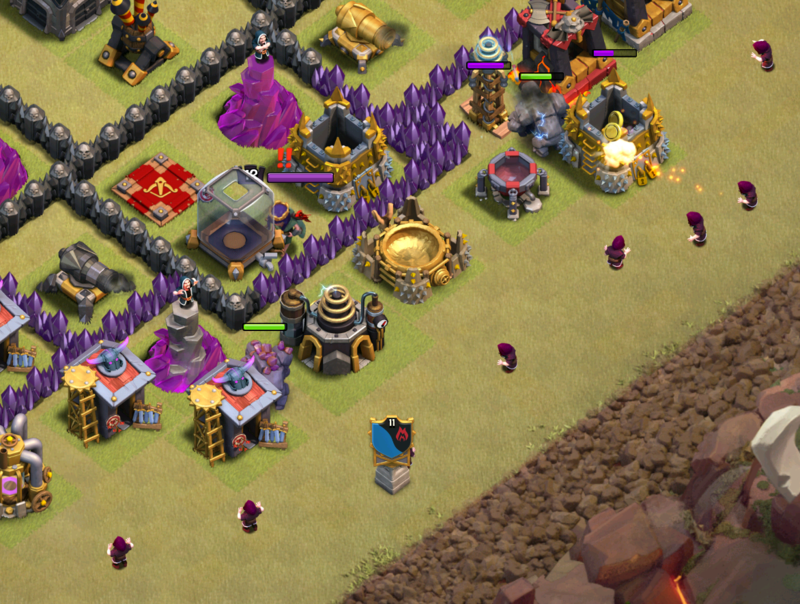 GoHo at Town Hall 9 in Clash of Clans used to be the go-to (see what I did there) war strategy. Because of Clash of Clans updates, GoHo has slipped up a bit in use due to the rise of LavaLoonion, but it still remains a viable attack strategy for TH9s to three star with. 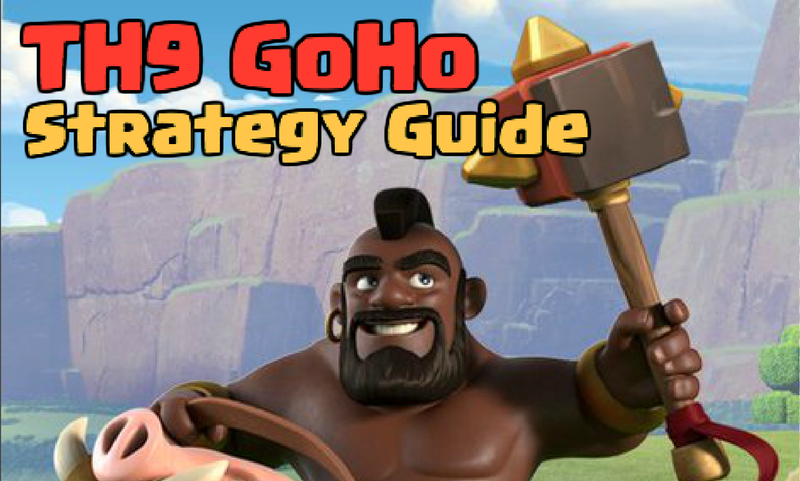 Today I’m going to tell you some GoHo strategy and some great GoHo army compositions. With a GoHo army composition, you need 3 main troops. First up, you have golems for your kill squad. Usually, you want to bring 2 golems, one yourself and one in your clan castle. Next up, you need hogs which is the key to this entire strategy. You can bring as little as 20 or as much as 30, whatever gets the job. Lastly, you need archers and wizards to both create your kill squad funnel and as clean up troops. 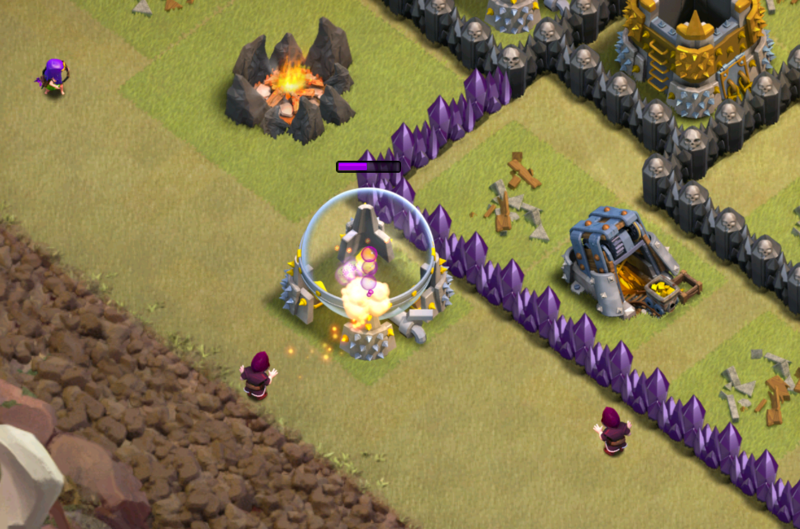 The first part of any hog raid is to kill the queen and defending CC troops. 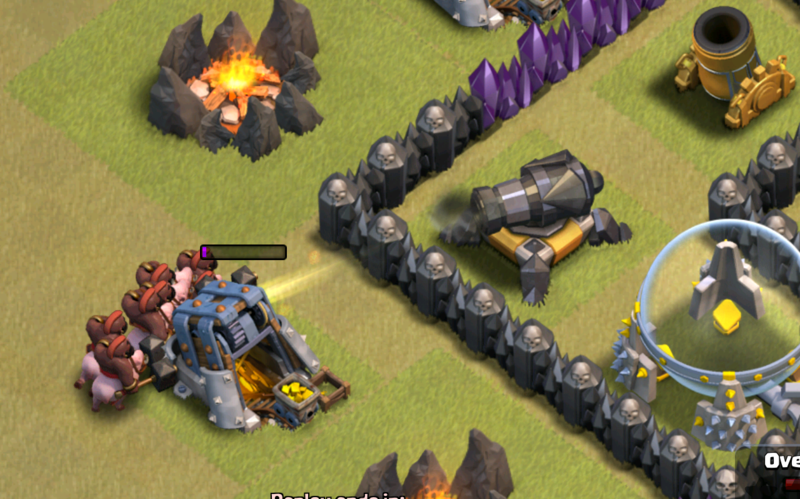 You can start this kill squad by identifying the spot at the base where you can most easily reach the queen and pull the clan castle troops out. From that spot, you want to send in your golems to tank for your heroes and wizards/archers, which will be doing the real damage. A kill squad isn’t a kill squad if they don’t do what a kill squad is supposed to do and kill the enemy queen and CC troops! To get your heroes and wizards into the best position to do this, you need to clear away outside buildings using your wizards, in order to clear a path towards the core of the base. You don’t want your heroes going astray! 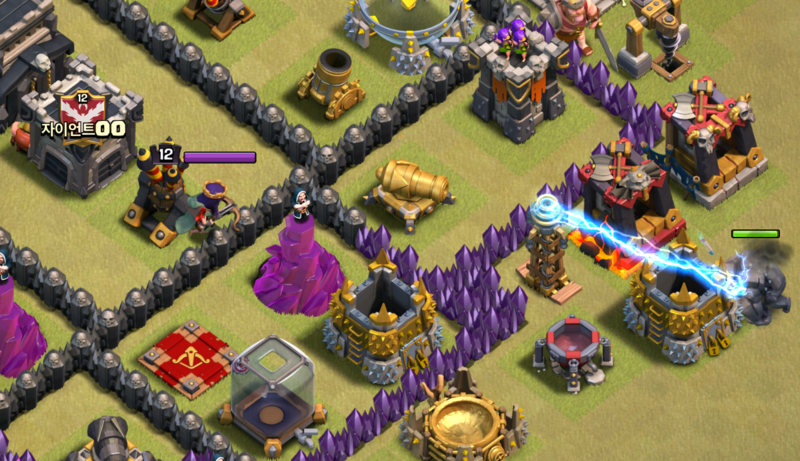 Once you’ve created your funnel towards the center of the base, it’s time to send in your heroes! 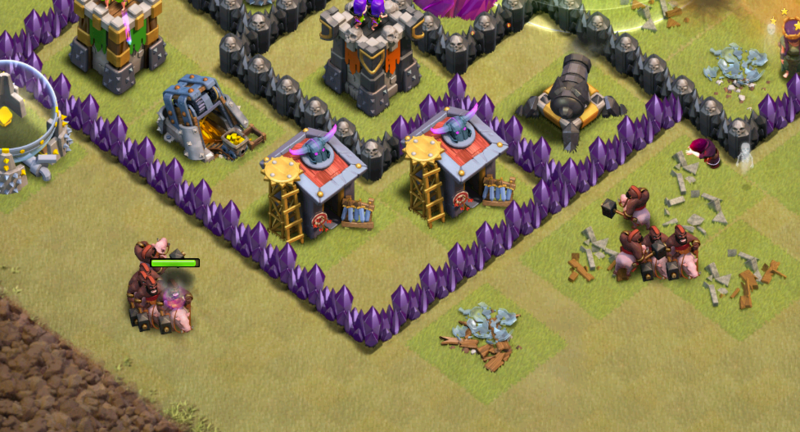 Place them in the spot that will get them to target the enemy archer queen and defending CC troops the easiest. Once they’ve hit the center of the base, judge your use of their abilities well. 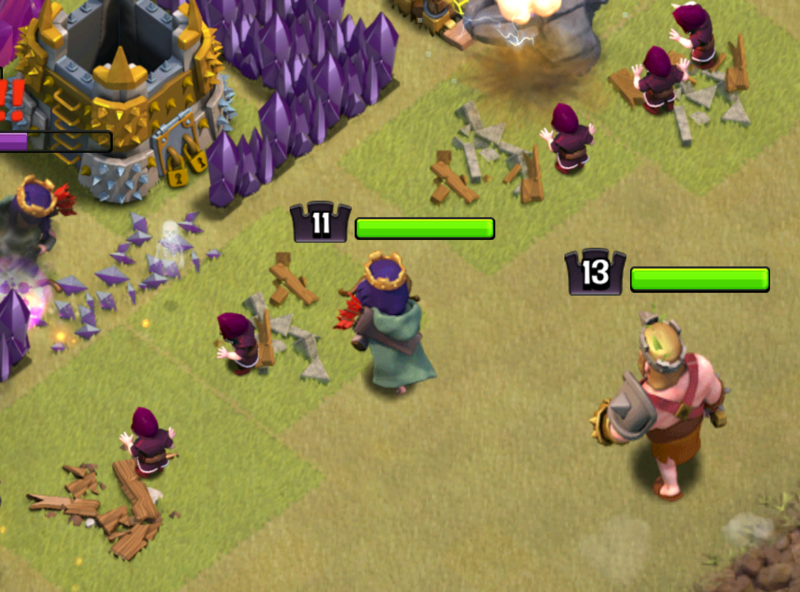 You want to hit the king’s to get through the enemy queen and use the queen’s if she starts being targeted by any defenses. 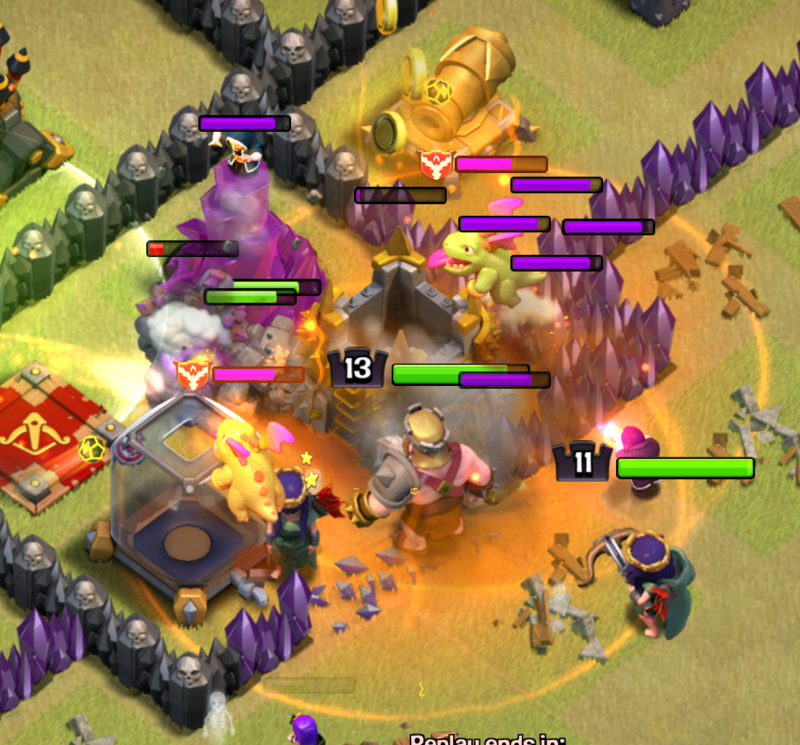 You should also play your poison spells on the spot where the clan castle troops will be stopped trying to take out your attacking troops. This will slow down their attack as well as do some damage which will lessen the force it takes to kill them. Once the enemy queen and enemy CC are out of the way, its time to send in the real damage dealers: your hog riders! Precision hogs are often the best way to go with a GoHo attack, but some cases might call for an Asian wall (0:42). I’d split up your hogs between 4 different defenses, with a 1st wave and a 2nd wave. Once your first wave is in, you want to try and judge what defenses will be taken out by them before sending in your second wave. Your whole goal is to combine your hogs in the center to be able to heal them all at once. How you play your heal spells can either save your raid or destroy it. Here are some simple tips for using your heal spells to get the most possible value out of them! Best play of a heal spell? Right after your hogs hit a giant bomb! Don’t attempt to heal if the giant bomb is doubled. So now that your hogs have dominated the defensive part of this base, what are you supposed to do about the elixir and gold storages along with the barracks and army camps? That’s why you save a couple wizards and a couple archers for “clean up duty”. 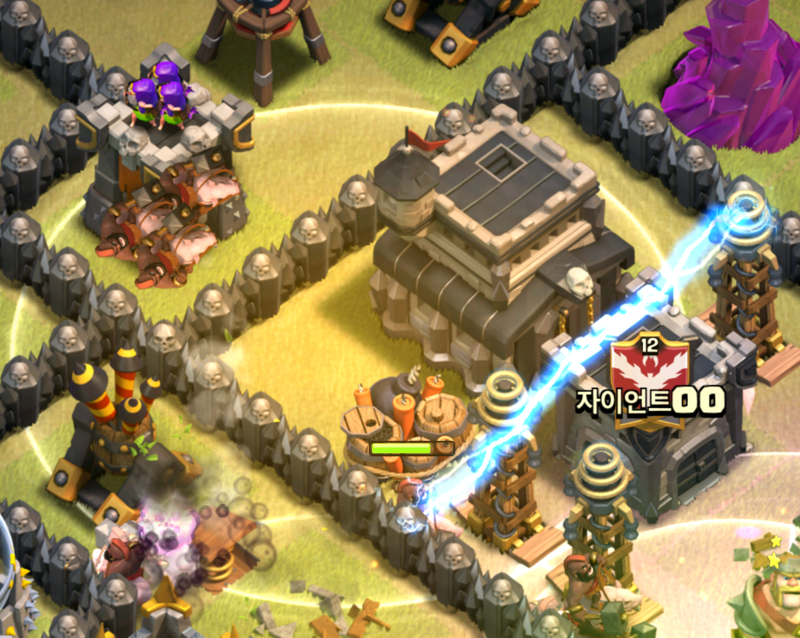 Basically, just play the leftover troops on buildings away from the hog riders where defenses can’t hit them. Since time is often a problem within GoHo and all hog rider raids, start your clean up as fast as possible, even if the hogs haven’t destroyed all the defenses yet. That’s going to do it for our Town Hall 9 GoHo three star strategy guide! I hope that you guys enjoyed this one a lot and can use GoHo effectively now in clan wars. Thanks for reading and comment below what attack strategy you want to see us review next! ← Clash Royale March 2017 Balance Changes Update LEAKED! That pun is literally true though. I even use it at town hall 8 sometimes, and it you find the right base, it three starrs. Pingback: TH9 Three Star Attacking Guide for GoHo | Clash of Clans Guide, Strategies, Tricks and More!